In this post, I’d like to share my current Internet backup system. My primary Internet Service Provider (ISP) is Time Warner Business Class. And although the on-site customer service is outstanding, the service itself leaves plenty of room for improvement with respect to availability and consistent quality of service (QoS). With this in mind, I sought out a secondary ISP to fill in the gaps. I considered ATT U-Verse, Cricket and Clear; but ended up disappointed in the customer service of all three providers. Just when I thought that I would have to re-visit ATT, I found a slick deal on T-Mobile’s Rocket 3 USB Laptop Stick (pictured below). It came with no contract and a pre-paid card that allowed me to test its speed. Using Speakeasy’s Speed Test, my laptop pulled 1.1Mbps down. Not good; but at least, it provided connectivity. The other downside to the USB Stick was that only one device could be connected at a time. 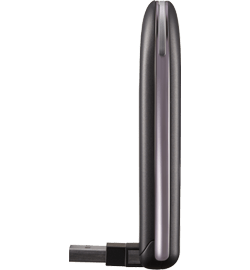 Enter CradlePoint’s CTR35 Wireless, which is compatible with T-Mobile’s Rocket 3 and provides Wireless N WiFi and supports up to 16 simultaneous WiFi connections. This immediately elevated this combination to my backup ISP. But being an techie, I needed this to be mobile as well because why pay for another data plan when I can leverage an unlimited, no contract and prepaid solution. So I paired the Rocket 3 and CradlePoint CTR35 with my Anker Power Bank that has a 8400 mAH capacity and provides two outputs (one of which is 5V/2A). 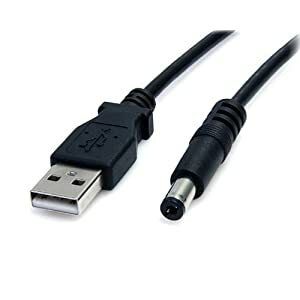 To complete the setup, I picked up a USB to Type M Barrel 5V DC power cable from StarTech. 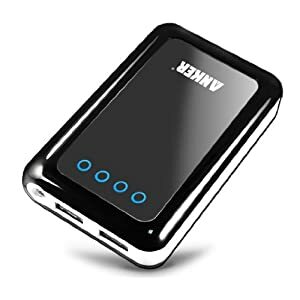 Note that that the output power for the CTR35 is rated at 12V/1.5A but the Anker Power Bank with output at 5V/2A was able to power it and the Rocket 3 without issues. In terms of performance, with the Rocket 3 attached to the CradlePoint CTR35 and using Speakeasy’s Speed Test, I was getting 6.6Mbps down. So there you have it – all the components that I use to provide ISP redundancy at home while providing mobile WiFi flexibility. Posted on August 2, 2012 October 31, 2012 Author Kong L. YangCategories Get IT Done Effectively and Efficiently! Hey There. I discovered your blog using msn. This is an extremely well written article. I’ll make sure to bookmark it and come back to learn more of your useful information. Thanks for the post. I’ll definitely return. Excellent information. At my work place we ended up with Clear Wireless as our guest access.